This car is nothing what I expected to get. And I absolutely love it. My post history suggests I was looking at pretty much at Mustangs to replace my old one, but long story short finding my perfect car was proving 100% impossible without spending ludicrous amounts of money. So I played around with some other ideas, including storing the Mach 1 (Which would be way to expensive) and the idea of the FiST was born. 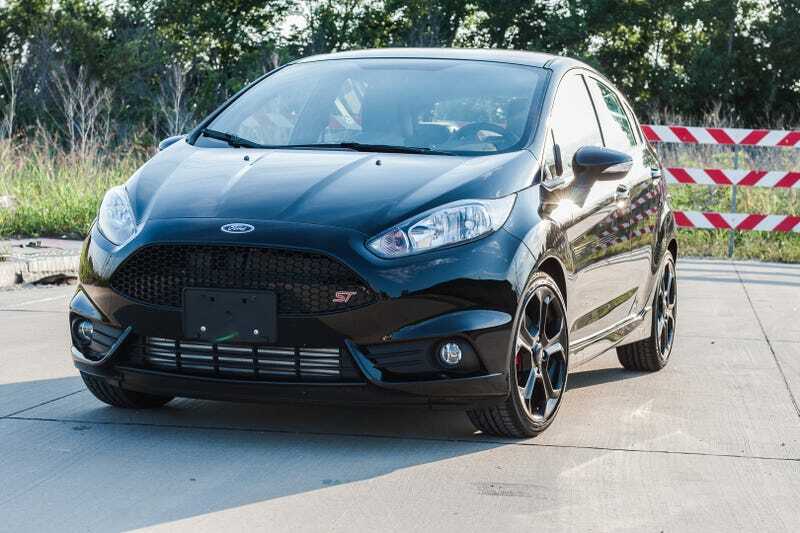 I had a blast on my test drive of the FiST, started realizing that it would actually be a logical car to have and planned to order one so I could enjoy the Mach 1 for another few months. I then went to sit in a Focus ST with Recaro’s at a local dealer when the salesman found nearly the exact car I wanted at another dealer. I wanted magnetic, Recaro’s and black wheels. No more or less. Later I did my own search and found that car, but in black at an Oklahoma dealer. I went forward with it, I didn’t think it would work out and I didn’t want to deal with the pain of cleaning a black car anyway. I would get nothing for my trade and wouldn’t qualify for 0%. Until they gave me EXACTLY what I wanted for the Mach and I qualified for 0%. Better yet, the same car arrived at a closer dealer, but with the Ford Performance carbon fiber shift knob. I had to have the car. So here it is, I hated to let the Mach 1 go, but for my last two or so years in college and my future this made way to much sense. I loved the Mach 1 and it was a hell of a first car but it’s time to move on. If all goes as planned, I can pay this car off in only a couple of years and get whatever I (Reasonably) want afterwards. I am also so proud of myself for being able to pull this off at my age, it took a lot of hard work. I never would have thought this possible a few years ago. Anyway enough text, more pictures. This car is ridiculous fun. Edit: And here’s the knob! It looks even cooler in person.